Raymax provides complete solution for CCTV needs. We have gathered a huge customer base in this domain by presenting a comprehensive range of Coaxial Cable with Power & Support Wire. We have gathered a huge customer base in this domain by presenting a comprehensive range 5eCable with 2 Power & Self Support. Raymax CCTV Cable has a coaxial to run high quality loss less video & 3 wires,to provide power & audio. * video, power & audio can be transferred in a single cable. * Made from virgin pvc, engineering grade high density poly-ethylene & oxygen free,pure copper. * Available in 160 & 180mtr length. *special length can be available on request. 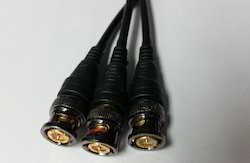 RAYMAX BNC lead is pre-molded BNC gold plated connector on the coaxial cable. * No need of soldering/crimping/screwing BNC connector. *Simply attach to coaxial cable. 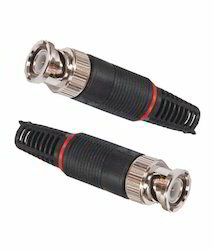 RAYMAX BNC connectors are high quality connectors . *long life & proper connection are their major advantages. *Available in plastic cap & green PCB type. RAYMAX Digital video optical Converter is designed to convert the camera video signals to Single-mode fiber optic signal. RAYMAX Video Digital Optical Converter adopts the advanced international digital video and optical fiber transmission technology, and implements the transmission of real-time and synchronization, no distortion and high quality up to 16 channel video signals over a single-core optical fiber via fc port of convertor. The converter comes with a Transmitter and Receiver. Its Optical module have High stability, and all optical and electrical interfaces conform to the international standards. Raymax POE Switch Ray-904p-24v is a network switch that has Power over Ethernet injection built-in. Simply connect other network devices to the switch as normal, and the switch will detect whether they are POE-compatible and enable power automatically. RAYMAX 10/100Mbps POE Switch , providing 1 10/100Mbps Up-link port and 4 10/100Mbps POE ports.It designs with 65W industrial power adapter, each port max output power is 24Watts. Besides, Each port is installed fuse to keep safety.RAY-904P-24V passive POE Switch can provide Power for wireless AP, IP Camera which is nonstandard PD devices. It is widely used in Enterprise,hotel, interlocking institution, Campus network, etc. We are successfully ranked amongst the topnotch entity offering a wide range of Raymax RG-59 2 Power Siamese Cable. 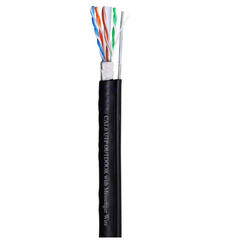 This cable is used in audio conference devices, voice data connections, and various other data devices. 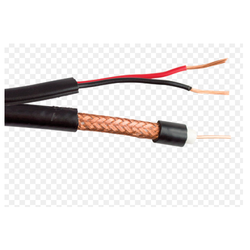 Also, cable is manufactured using quality copper materials and fiber reinforce plastic shield. Moreover, the cables are quality tested for high durability feature. 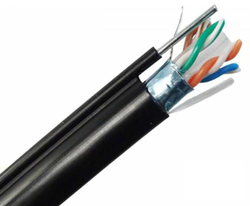 The offered cable is used in outdoor and indoor duct and aerial applications. 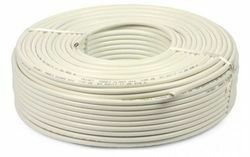 Furthermore, this cable is made available at cost effective prices. HD video balun, supporting hdcvi/hdtvi/ahd camera upto 600m.